Based in Birmingham, Alabama, State Traditions creates state-inspired apparel and accessories that reflect traditions across America. 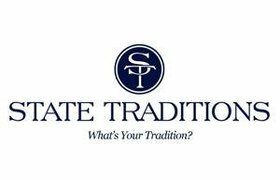 What makes State Traditions, or ST, unique is that the brand focuses on what people already have a connection with: hometown pride, cherished memories and favorite pastimes. Whether that means sporting a gameday hat to the local team's ball game, donning an America tour visor for that next round of golf, or wearing a state-inspired t-shirt to represent a tradition, ST has all the options covered. After all, the places we come from and the things we love to remember make us who we are.